Fluid-o-Tech has been awarded the Confindustria Businesses For Innovation Prize for the third time in a row, recognition for Made in Italy companies who successfully invest in research and innovation. This year the company won the "Award" category. This is the first prize in Europe to have adopted European Foundation for Quality Management parameters, set forth in an internationally recognised model for the assessment of company quality and innovation. The motivations speak of how Fluid-o-Tech has distinguished itself "by obtaining significant results at an international level, thanks to its constant research into innovative methods and approaches, with the contribution of ideas from all its staff". The Businesses for Innovation is developed in collaboration with La Fondazione Giuseppina Mai, Confindustria Bergamo, with the support of Warrant Group and the technical support of Associazione Premio Qualità Italia (Apqui). With its Industry and Services category it participates in the 'Premio dei Premi' (prize of all prizes), a recognition founded by the Council of Ministers, mandated by the President of the Republic, which also aims to encourage the growth of innovation culture in Italy. 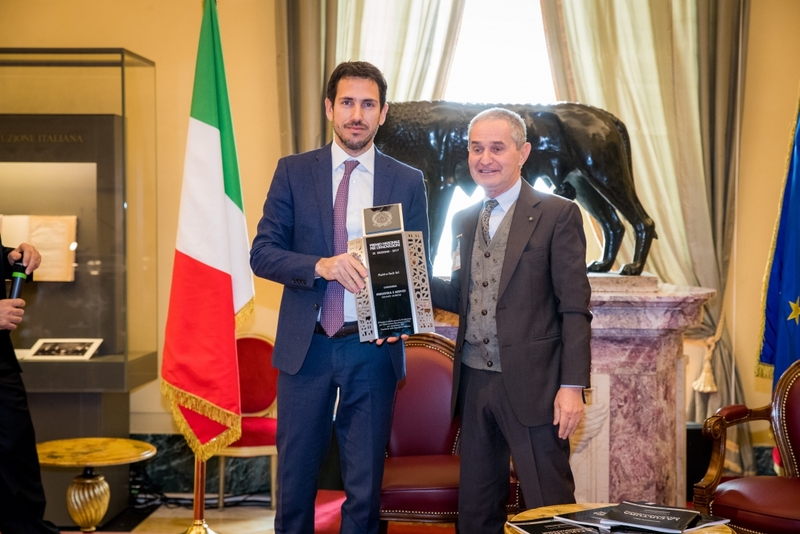 Fluid-o-Tech has also been awarded the prestigious Premio dei Premi, on occasion of National Innovation Day, by the President of the Chamber, at the award ceremony on 18th December which took place at the Chamber of Deputies. This recognition places us at the forefront of innovation, and each day we strive to honour this responsibility, with commitment and pride. We continuously challenge ourselves by rethinking and improving all that we do, every single day, promoting creativity and lateral thinking by adopting an approach congenial to innovation. Thanks to strategic partnerships of excellence, we are expanding the frontiers of knowledge and practice, by offering our customers increasingly state-of-the-art solutions. F-Lab, our innovation laboratory, has inspired us to define ourselves as architects of innovation. Thanks to its open network, we promote interaction and co-creation within a diversified ecosystem, with the aim of developing new knowledge and new technologies. We have always been pioneers in the introduction of new technologies and the implementation of innovative production systems. The road is long, but a lot has been done and we're moving in the right direction. We are aware that the frontier of development is continuously expanding, and in order to keep apace, we must never stop innovating and improving, with everyone's contribution.